I’m nutty about gnomes. It started innocently enough I’m sure. I knit a few, modifying, adapting, improvising. Then I kept knitting and knitting them. I even started a ritual that made me happier about winter. I called them my Snow Gnomes, and I bring them out when the snow comes and leave them out until the last snow melts in the yard. They’re part of the season for the family now. 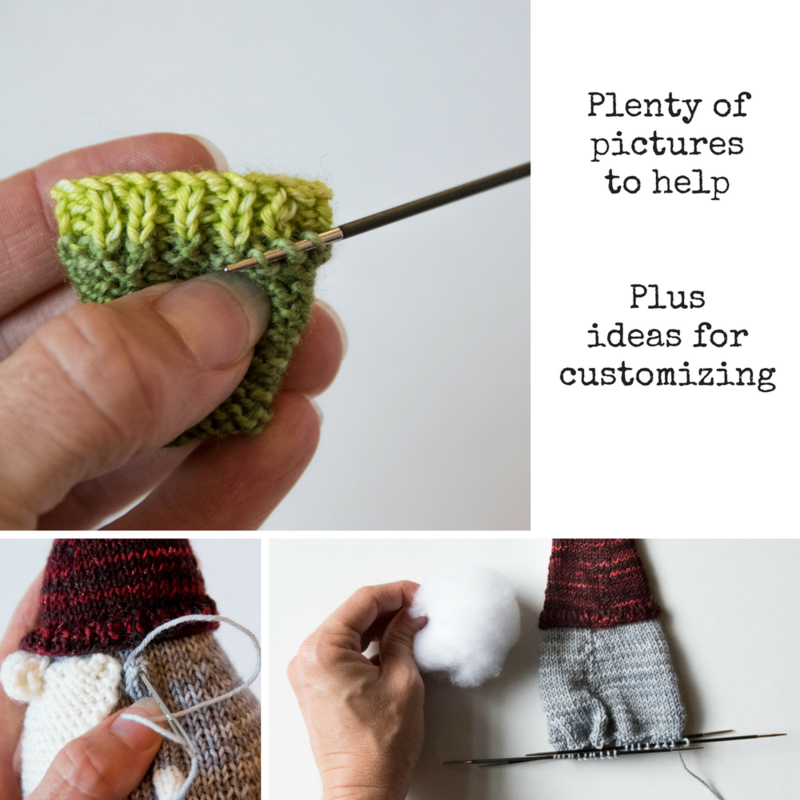 Then I realized that I’d played around with various patterns so much, adding little things to make it easier, faster, and – to my way of thinking – better, that I really had a new gnome on my hands. 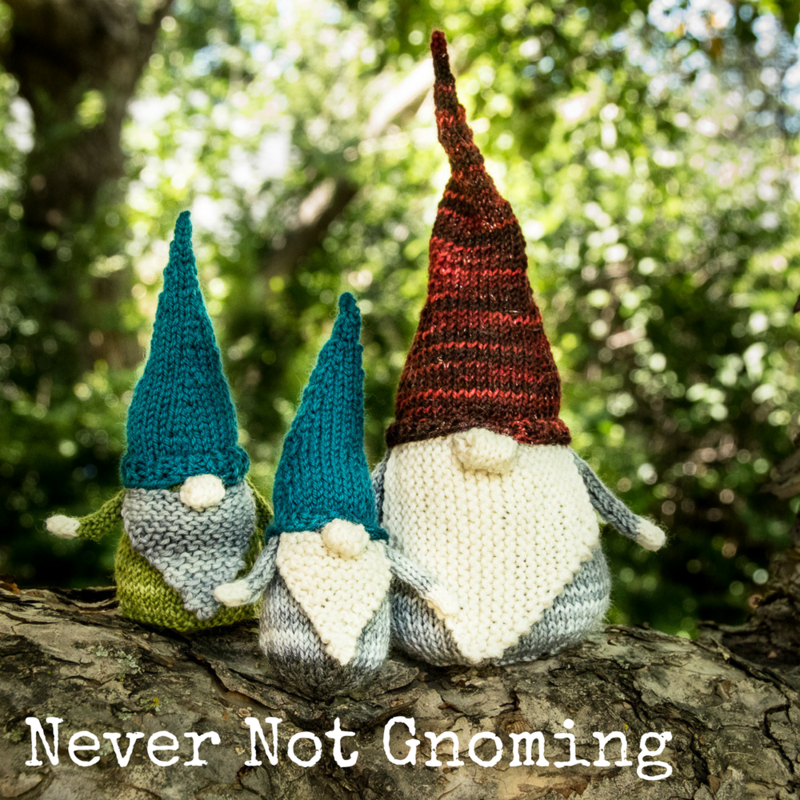 And that’s exciting, because I want to get the whole knitting world Never Not Gnoming. 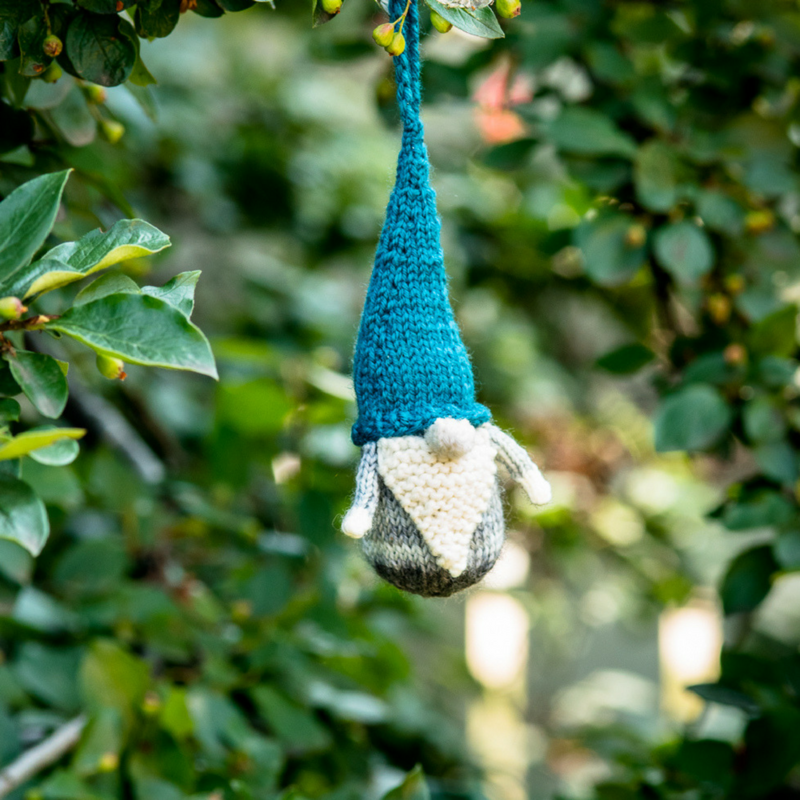 Gnicholas is an ornament, with a rounded bottom and a passion for birding and perfecting his homemade granola. Gnatasha is about the same size, but plumper, and she stands on her own. She’s from Gnew Zealand and likes artisanal pickles. Gnorbert, on the other hand, is a big gnome and he has a complicated history with triathlons. 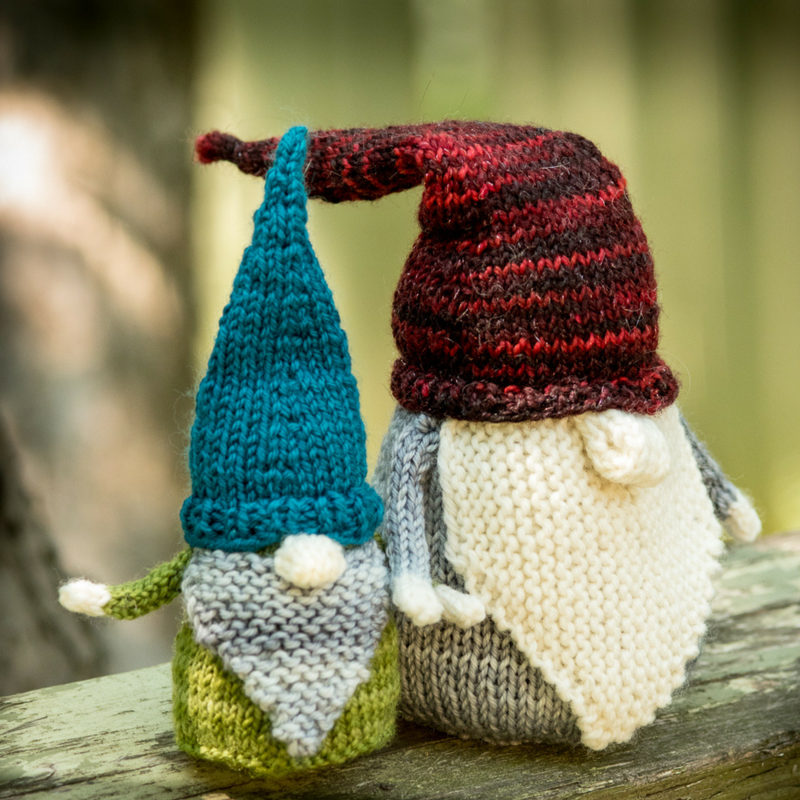 These gnomish pals are knit from the top down, with body stitches picked up from the brim of the hat, and you get to avoid sewing the hat on. It also means that you can easily play around with the size of your gnome. There are two beard styles you can choose from: a vertical and a horizontal option for each size. Perfect for scraps and mini skeins!